Vermont may lack an ocean coast, but summer vacationers never feel shortchanged. This uncrowded, independent-minded state known for its rural and natural beauty overdelivers when it comes to freshwater beaches, family-friendly resorts, outdoor adventures, golf courses, craft breweries, and farm-to-table restaurants. If you're heading north to escape the heat and looking for cool things to do, here are some of Vermont's most memorable getaways and experiences for summer visitors. You won't miss the ocean when you discover Vermont's plentiful freshwater beaches. Many of them, such as Boulder Beach in Groton, are tucked inside Vermont State Parks, where admission fees are family-friendly. Combine swimming with other park activities such as hiking, biking, or kayaking for an active day in the outdoors. Lake Willoughby's North Beach in the town of Westmore is one of the best lake beaches in New England. And there are more than a dozen public beaches on Lake Champlain: the granddaddy of all Vermont lakes. There are more than 80 old-fashioned swimming holes in Vermont, too, when you're ready for an exhilarating dip. And if skinny-dipping's your thing, there's even a place in Vermont for that! Vermont is home to New England's superlative family resorts. Put Smugglers' Notch, with its eight heated pools, mountainside water playground, freshwater swimming spots, and award-winning children's programs at the top of your list. Tyler Place Family Resort in Swanton caters to all ages, too, with water sports and other outdoor adventures, supervised activities for toddlers to teens and all-inclusive dining. The kid-friendly, dog-friendly Wildflower Inn in Lyndonville is also a perfect landing spot for active families. Situated on 300 acres with easy access to Kingdom Trails, you'll bond over country breakfasts, hikes and bike rides, lawn games, refreshing swims and farm-to-table dinners. When Vermont's town greens and parks become gathering places for farmers and gourmet food producers, you're in for a treat. There are dozens of weekly farmers' markets in Vermont, where you'll see the state's fresh-harvested bounty on display. The best markets, such as the Waitsfield Farmers' Market on the Mad River Green, offer so much more than fruits and vegetables. Hear live music, sample baked goods, and purchase handcrafted souvenirs. You'll be supporting Vermont growers, artisans, and entrepreneurs while enjoying a summer day outdoors. Picking your own strawberries is another fun summertime activity that supports Vermont farms. Lake Champlain's one and only cruise ship, the Spirit of Ethan Allen, allows summer vacationers to experience the state's largest lake on a variety of leisurely voyages. From mid-May through mid-October, narrated, scenic trips are offered several times daily. You can also combine cruising with lunching or brunching, or book passage aboard a sunset cocktail cruise or a dinner cruise. On Thursday nights, you can solve a murder mystery over dinner; Friday night dinner cruises feature lobster; and Saturday is dinner and dance night with a DJ. Vermont's ski areas have devised some awfully clever ways of attracting summertime visitors. When you find yourself longing for a downhill thrill long after the snow has melted, head to Killington, where the Beast Mountain Coaster races 4,800 twisting and turning feet through the woods. Okemo Mountain Resort in Ludlow, Vermont, will elevate your heart rate, too. Their Timber Ripper Mountain Coaster is a breathtaking and smooth ride down the forested mountainside, and you control the speed. Factory tours at Ben & Jerry's in Waterbury, Vermont, will give you new appreciation for summer's top treat. During your 30-minute guided experience, you'll see cherished ice cream flavors like Chunky Monkey being produced in huge batches and have the opportunity to sample the day's fresh—sometimes limited edition—frozen creation. You'll also hear the enchanting back story of this global brand's humble Vermont origins. Don't miss the Flavor Graveyard, where discontinued concoctions like Bovinity Divinity are humorously memorialized. Vermont is the fly fishing capital of New England. Visit the 50-year-old American Museum of Fly Fishing in Manchester, home to the world's largest collection of fishing-related artifacts, including rods that belonged to legendary people like artist Winslow Homer, author Ernest Hemingway, and slugger Babe Ruth. Vermont's Battenkill and Mettawee Rivers are premier places to cast for wild trout. If you don't know the first thing about fly fishing, Vermont has you covered, too. Orvis operates a fly-fishing school in Manchester: Choose a one- or two-day experience including instructional opportunities geared specifically for women or for parents and children. Farther north, Burlington-based Maple Country Anglers offers guided fishing trips on Vermont's fish-rich rivers and streams. Fun for kids and restorative for grown-ups, a farm stay is an immersive way to experience Vermont's rural rhythms. The cream of Vermont's crop of farm escapes is Liberty Hill Farm & Inn in Rochester. Here, you won't just feast on farm-fresh, family-style meals and observe the daily operations of a working dairy farm with 270 cows on-site. You can help with milking, bottle-feeding calves, and other chores. And you'll absorb farm values, which may just change the way you view our world and your own life. Vermont's best farm-to-plate restaurants make optimal use of summer's bounty. This agrarian state was at the forefront of the locavore movement and has worked since 2009 to double access to local food. Many of Vermont's top chefs have wholeheartedly embraced this philosophy, and you'll want to taste the intriguing dishes they are creating using freshly harvested ingredients. The Montpelier-based New England Culinary Institute even has its own student- and instructor-run farm-to-table restaurant, NECI on Main. There's an unexpected, yet authentic touch of the wild west in Castleton, Vermont. From July through Labor Day weekend, Pond Hill Ranch—a genuine, 2,000-acre working ranch—hosts Saturday night rodeos that are alcohol-free and fun for families. You'll see top-notch professional bull riders and exciting events like barrel racing, calf roping, and steer wrestling. The bull riding competition for novices is the biggest hoot. For a fraction of the cost, you can see Broadway-caliber shows at the intimate, 300-seat Weston Playhouse in Weston, Vermont, this summer. Plays have been staged in this repurposed Greek Revival church for more than 80 years. Kick off a memorable evening with dinner beside a waterfall at the playhouse's restaurant. After the curtain call, there's more fun in store. Young Company players join the show's performers for a comical hour of additional entertainment in the downstairs cabaret. They called him "Silent Cal," but 30th U.S. President Calvin Coolidge's legacy resonates through time in Plymouth Notch, Vermont. The Calvin Coolidge State Historic Site preserves essentially the entire rural village where Coolidge was born, where he was sworn in as president following Warren Harding's death, and where he set up his Summer White House during his presidency. You can even visit the general store and the Plymouth Cheese Factory, one of America's oldest still-operating cheese companies. It was established in 1890 by Coolidge's father. Speaking of cheese… the state prides itself on the quality and diversity of its dairy products, and this Vermont Cheese Trail map will help you locate and visit cheesemakers statewide. The Cabot Visitors Center in Cabot, Vermont, is a popular stop. After a video tour of the cheesemaking process, you can taste free samples and compare this household name's world-famous cheddars. Don't miss the chance to discover artisan cheeses made in small batches, too, at destinations like Blue Ledge Farm in Salisbury: open on Friday mornings only, from 8 a.m. until noon, May through October. The backdrop for these outdoor performances is as spectacular as it gets. 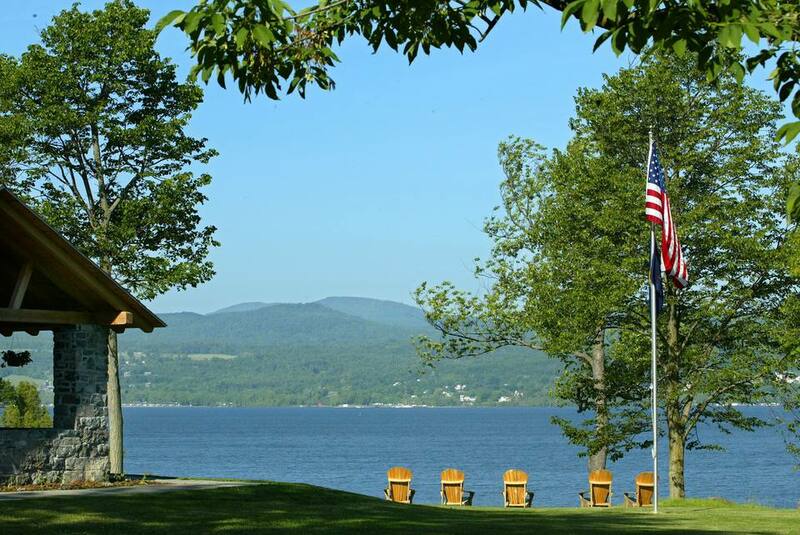 Pack a picnic, spread out a blanket, and enjoy the music and the mountain views during one of summer's Music in the Meadow concerts at the Trapp Family Lodge in Stowe, Vermont. Tickets are required for most of these shows, held on select Sundays in July and early August. Arrive up to two hours early to claim your spot on the sloping lawn. If you've never been on an all-terrain vehicle (ATV), NEK Adventures will introduce you to this adventurous summer pastime. Their guided ATV tours, which depart from Concord, Vermont, take place at a sightseeing pace and rumble through remote areas you'd probably never see without a four-wheeler beneath you. Participants must be 18 years old (16 if accompanied by a parent). From Memorial Day weekend through mid-October, touring the world's largest deep-hole dimension granite quarry is one of the coolest things you can do in Vermont. A visit to Rock of Ages in Graniteville is actually two tours in one. A bus will take you to the quarry, where you'll see derricks hoisting 400-million-year-old blocks of stone. Back at the Visitors Center, self-guided factory tours include the chance to observe artisans at work, using modern and traditional tools to sculpt and carve memorials. Visitors are encouraged to take home a free sample of enduring Vermont granite. In Vermont's remote Northeast Kingdom, there's an extensive network of multi-use trails that beckons to mountain bikers. Purchase a day pass, and you'll have access to Kingdom Trails' diverse riding options for all ability levels. This non-profit has negotiated legal access to private lands in one of the state's most scenic natural areas, and you'll be awed by the care that goes into maintaining these trails. If you love horses, you'll want to include a visit to the UVM Morgan Horse Farm on your Vermont itinerary. Located near Middlebury and open to the public from May through October, this picturesque facility was established in 1878. You'll see more than 40 of these strong and versatile horses, the state animal of Vermont. And your admission fee helps to sustain the breed. Vermont is also home to the National Museum of the Morgan Horse, not far away in Shelburne. Vermont has more than 75 scenic golf courses: some historic, some modern. Opportunities to play nine or 18 holes are scattered statewide, but you'll find the highest concentrations of courses in resort destinations like Stowe and Killington. Mild summer temperatures make Vermont an ideal place to golf. While some of the state's top-rated courses are open only to members, there are plenty of gorgeous public golf courses in Vermont that you can play including the Equinox Golf Resort & Spa's mountainside course, designed by Walter Travis in 1926 with 1991 updates by Rees Jones. Sure, you could drive all over visiting the craft breweries—like Hill Farmstead Brewery and The Alchemist—that have made Vermont one of the best destinations in the world for beer lovers. But the annual Vermont Brewers Festival, held the third weekend of July in Burlington Waterfront Park on Lake Champlain, is a safer and more efficient way to taste buzz-worthy brews from Vermont and beyond. This epic, adults-only summer event attracts more than 10,000 people and features local food, too. The annual Vermont Antique and Classic Car Meet has a new home in Waterbury for 2018 (August 10-12), and if you've attended the show in Stowe in the past, you know this is one of the biggest opportunities of the summer to connect with others who love vintage automobiles. Traditions like the flea market and Saturday's parade and street dance are still in the mix, and even if you don't own a classic car, you can dress in vintage style and compete for prizes. Both a memorial to its creator, artist Stephen Huneck, and a magical place for dogs and their people to explore, Dog Mountain and its one-of-a-kind Dog Chapel make a perfect summer day trip destination. The dog-themed chapel's walls are plastered with love notes to pets who have enriched their families' lives. The hillsides are lush and perfect for long walks. And sales in the gallery help to sustain this non-profit. Try to time your visit to coincide with the Summer Dog Party on the first Saturday in August.